Miss England 111, owned by Lord Wakefield, cost £40,000 to build. Her engines developed 5,000 horse power, designed to give her a speed of 200mph. 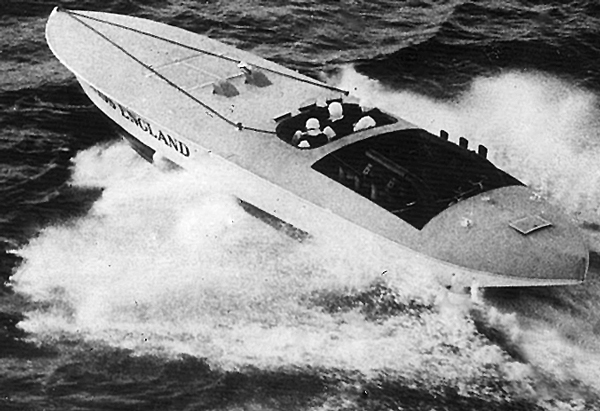 In the 1920s, powerboat racing was dominated by the American businessman and racer Gar Wood, but there was increasing rivalry between the United States and Britain for the world record. 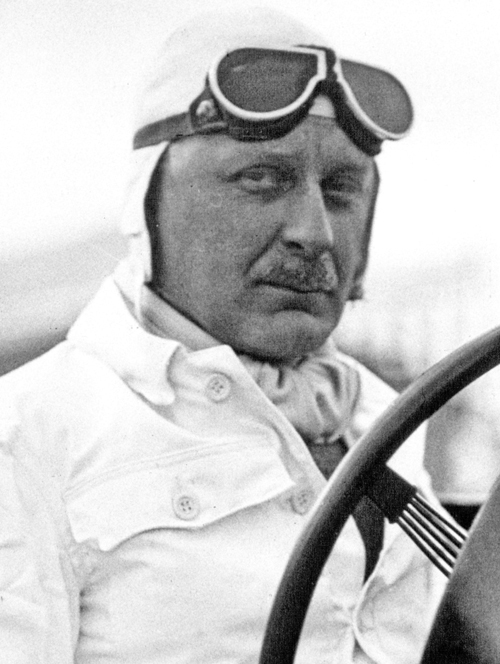 Towards the end of the decade, British racing driver Henry Segrave, who had set a number of world land speed records, began to turn his attention to waterspeed records. He achieved considerable success, but met his death on Lake Windermere on Miss England 11 on June 13 1930. However a new British talent was emerging. Born Kaye Ernest Donsky in Dublin in 1891, Kaye Don, as he came to be known, began his racing career on motorcycles. He soon switched to cars, winning the inaugural Airds-Belfast race in 1928. He became a regular at Brooklands, where he set many records, reaching speeds of over 137 mph. By 1931, he was also competing in powerboat racing, and was the natural choice to take on Seagrave’s mantle. He was chosen to drive Miss England 11, the craft having been carefully repaired. With this vessel, he became only the second man to better 100 mph on water, breaking the world record. Gar Wood won back the record with his Miss America boats, and it was against this background that Kaye Don came to Loch Lomond in 1932, with the aim of setting a new benchmark. The loch did not feature in the history of waterspeed records, Lake Windermere and Coniston Water being the more usual venues. Whatever the circumstances that governed the choice, Kaye Don and his team must have been greatly heartened by the hospitable offer made to them by David Scott, who had just acquired the island of Inchmurrin. The largest of the islands on Loch Lomond, it had been run for many years as a deer park by the Dukes of Montrose. In 1930, however, it was purchased by Mr Melville of the Inchinnan-based India Rubber and Tyre Co. He quickly spent a considerable sum in developing the island as a sporting retreat, with an electrical plant, a new pier, and a nine-hole golf course near the old castle. Fishing, shooting, boating and bathing were listed among the other amenities. But Melville must have over-reached himself — this was the era of the Great Depression — and his creditors were empowered to sell the island just two years later. The new owner in 1932 was David Scott of Laggish, Barrhill, a village in Ayrshire. The Scotts were a well-known farming family, tenants at Laggish for over 90 years. Almost immediately, Mr Scott offered Kaye Don the use of the facilities at Inchmurrin, including the use of one of the houses on the island, and on July 18 1932 Don began his record attempt. From 1930 the rules of waterspeed records dictated that two timed one-kilometre runs had to be made in opposite directions, the speed attained being deemed as the average over the two runs. 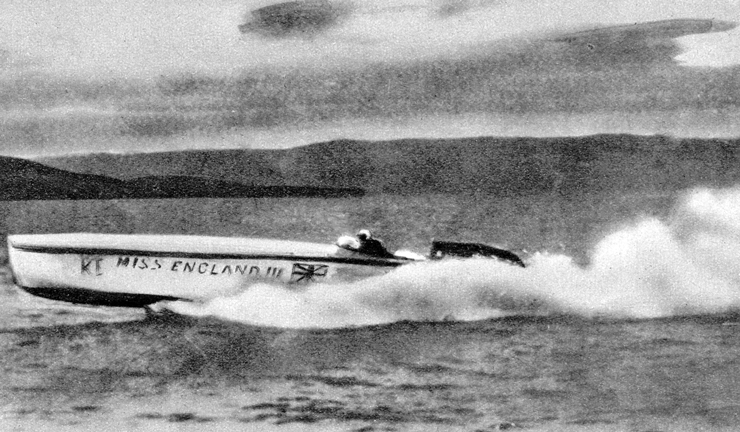 Don was using Miss England 111, which differed from its predecessor in having twin screws, and he succeeded in breaking Wood’s world record with the remarkable speed of 119.81 mph. The choice of Loch Lomond had paid off handsomely. His vessel has survived, and it is on display at the National Maritime Museum at Greenwich. Wood was not the kind of man to take this lying down, and soon snatched back the record. On September 20 1932, he drove Miss America X to a speed of over 124 mph. However Don decided against any further waterspeed record attempts, and Wood the year after. Don did not give up his racing car ambitions — and this led soon after to his facing a charge of manslaughter. On May 28 1934 Don was on the Isle of Man, preparing to race an MG Magnette. He took the vehicle out for a test run, and then complained about the steering. Late in the evening, when he was settling down to a game of bridge, Frank Tayler, an MG employee, told him the car was now ready. Don decided to take the car out for a test on public roads, even though the vehicle had no lights, number plates or insurance, and Tayler came along. They collided with a hackney carriage, and while no-one on the cab was injured, the MG overturned and both men were injured, Tayler fatally. As a result Don found himself on a charge of manslaughter. The trial began at the Tynwald court on July 14. Don was found guilty and sentenced to four months in prison, but was released early on medical grounds as he was still receiving treatment for injuries sustained in the accident. In the 1940’s, Don established and developed the firm of Ambassador Motorcycles. This was taken over in 1962, when Don retired, and he lived to the ripe old age of over 90 years, as did his old adversary, Gar Wood. The story of the Scott family, who had helped smooth the way for Don’s waterspeed record and still own the island, is also remarkable. They developed Inchmurrin, both as a farm and as a destination for visitors and tourists, and put down firm roots. Living and working on an island in such a famous location inevitably brought them into contact with many taking recreation on the water, and this led to a number of heroic rescues. David died at a comparatively early age, having contracted pneumonia in the wake of rescuing someone from drowning in the loch. He and his wife had two sons, Tom and Jay, who were both to achieve considerable fame. They were young children when they came to Loch Lomond, and obviously thrived in the environment of farming and outdoor recreation because both grew up to become champion athletes. Tom broke the national triple jump record at Murrayfield in 1951 with a leap of 47 feet 3 inches, as part of the Festival of Britain celebrations. Younger brother Jay was described in an article in the Glasgow Herald as “the best all-round athlete Scotland has ever produced”. The brothers were equally accomplished at heavy events as well as running and jumping. Many remember their performances at the annual Luss Highland Gatherings, and their athleticism and their versatility, were quite remarkable. It is likely that with modern intensive training and coaching, they could have competed successfully at the highest level in events such as the decathlon. When Jay married famous actress and singer Fay Lenore in 1958, it was the wedding of the year — the champion athlete and the beautiful actress. The year before, Newcastle-born Fay, who came from a showbiz family, first saw Jay competing at the Braemar Highland Gathering. They met not long after at Loch Lomond, around the time that Fay was starring at the Alhambra Theatre in Glasgow, and romance quickly blossomed. After the wedding, both successfully continued their careers. Jay built what was to become Duck Bay Marina, while Fay went on to become a star on the screen as well as the stage. She had parts in well-known TV series such as “Crossroads” and “Take the High Road”. Tom was perhaps not so high profile as his younger brother, but nonetheless succeeded in making his mark over the years. In 2011, he was specially mentioned at the Scottish Parliament for having rescued over sixty people in difficulty in Loch Lomond. A resident of another Loch Lomond island, Lady Arran, also achieved fame in setting waterspeed records, although her record-breaking runs took place in the Lake District. Fiona Colquhoun was the sister of Sir Ivar Colquhoun of Luss. Once described by Prime Minister Harold MacMillan as the prettiest girl he had ever seen, Fiona married Sir Philip Gore, later Lord Arran, in 1937. Lady Arran and her husband were very fond of animals, and were prominent in the campaign for better legal protection of badgers. She became a record-breaker on water in her more mature years, unusual in this potentially dangerous sport. She was dubbed the “fastest woman afloat” and also “the fastest granny on water”. In 1971, aged 53, she piloted her speedboat Highland Fling on Lake Windermere to a speed of 85.63 mph, setting a class one record. In 1979, again on Windermere, in her vessel Skean Dhu, she established a world record for class two power boats, attaining 93 mph. The following year, she went even faster, piloting the same vessel on the same course, and reaching 103 mph. Lady Arran established a holiday home on the island of Inchconnachan, about two miles north of Inchmurrin. There, her love of animals resulted in the presence of a wide variety of creatures from different parts of the world. As well as badgers, there were animals such as llamas, alpacas, and wallabies. The sport of waterspeed record-breaking has claimed many lives over the years, with John Cobb and Donald Campbell the best-known casualties. But Lady Arran, like Kaye Don and Gar Wood before her, reached a ripe old age. She passed away in 2013 at the age of 94.